Many people trying to run a Facebook page are caught up into trying to figure out and beat the algorithm that Facebook has in place. This leads to frustration, and feeling like you should just give up because Facebook is constantly changing their algorithm. 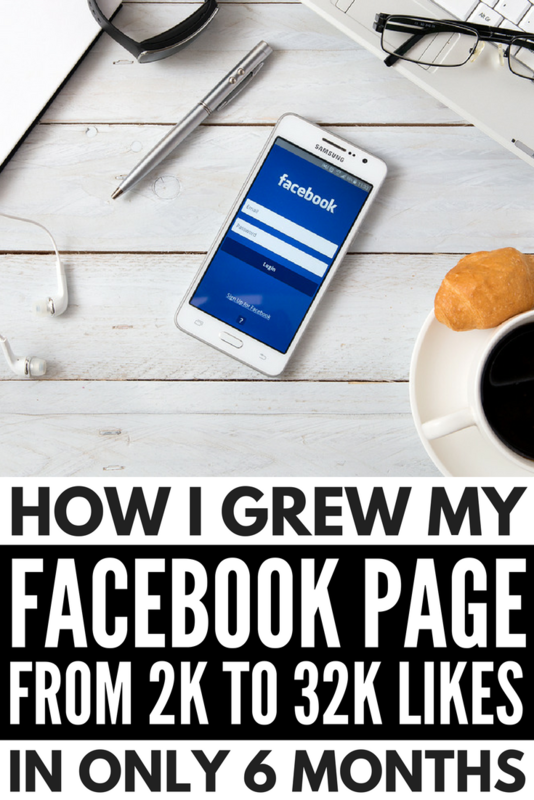 So, I’m going to tell you something that really helped change my game plan and my focus when it came to Facebook. I stopped trying to beat the algorithm and focused entirely on trying to build a community that people wanted to come back to. My niche is parenting focused, but no matter what your focus is for your Facebook page, you can apply these 5 basic principles on your Facebook page to start growing faster. Here are 5 things you should share on your Facebook page every day to increase your likes. Provide good content in your niche every single day. This content can be your own, but you should also share posts or links to articles in your niche that aren’t your own, but that are good quality resources. Create a page that is worth coming back to for the good stuff. I like to share articles from top parenting sites in addition to articles that I write on my own site. Parents see my page as a place to know about parenting related issues, so they want to keep coming back for more. Viral content might seem like fluff, but it’s a great way to get more followers on your page. Even though you think everyone has seen that cat video that’s making its rounds, someone hasn’t. In fact, lots of people probably still haven’t. When you share viral content then you will have more people liking that content because it’s already been proven to be good content. You can then turn those people liking that viral content into followers by simply inviting them to like your Facebook page after they’ve liked a specific post. Videos are king right now on Facebook. Facebook is making its way to try to become a source for videos like YouTube. If you can create your own, great! If not, share videos. We are in a fast-paced age of social media where people want information fast, and they want it to be visual. Sharing good quality videos is a great way to build your audience. I recently created a video meme that has a FB reach of 7 million and has been shared over 65,000 times. It’s also brought in about 4,000 new likes to my page in about 2 weeks. Share something every day from a Facebook page larger than your own. By doing this, your reach on that particular post will increase, and so will your engagement. Since the larger page will most likely have more likes than your own page, Facebook will show it to more of your followers. You can then engage with those followers. As your followers engage more with your page, their friends will see it and you will increase your chance to covert those friends of my followers to like my own Facebook page. Find pages with similar followings to your own, and within your own niche, and interact with them. You will get noticed and build relationships this way. You might even be able to start up a sharing swap with pages that are like your own where you share content from each other. So much of building a following on Facebook has to do with building community. If you can get to know other people within your niche, the chances that you will grow faster are far greater. For all the details on how I grew my Facebook page from 2,000 to 32,000 in just six months, go here. If you found this collection of content ideas to teach you how to grow your Facebook page in less time, please share it on Pinterest! Meredith Ethington writes regularly about motherhood, and parenting on her blog, Perfectionpending.net. She is a wife, mom of three, and she writes mostly to commiserate with other moms, and to remind herself that she doesn’t want to be a perfect mother, she wants to be a real one. Her passion is to help other moms be real and accept themselves just the way they are. She writes regularly for Scary Mommy, The Huffington Post, Babble, and has been featured many times by Today.com as one of the funniest parents to follow on Facebook. You can find her on Facebook and Twitter where she loves to laugh at herself by making memes, and admit that while parenting is the best thing ever, it’s also the hardest job on earth. Don’t forget to follow our Blogging board on Pinterest where we share more tips and tricks to help grow your online presence!